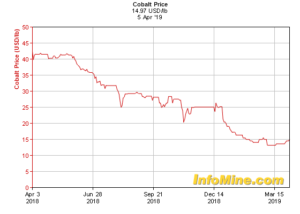 Charts below show an upswing in the cobalt price as demand picked up in recent days/weeks. 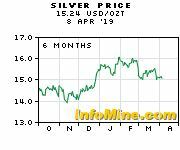 The price pattern shows a bottom has formed after a year-long correction that analysts have attributed to an unexpected upswing in supply from artisanal mining in the Congo (child labor, lax regulations) and regulatory, subsidy/tax and inventory shifts in China. 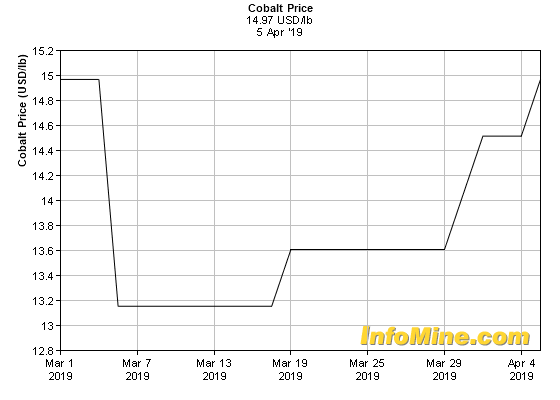 While analysts appear to be unsure of the short-term outlook for cobalt prices (whether prices will continue higher in the weeks ahead)…. 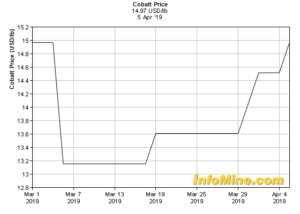 This is all good news for Canada Cobalt Works Inc., which has made significant progress in its plans to bring the high-grade Castle cobalt-silver mine back into production. See details at www.canadacobaltworks.com. 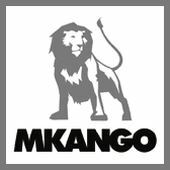 Note that the Castle mine also has plenty of high-grade silver, which is expected to be mined with the cobalt. Silver prices have also moved higher in recent months, as this chart shows. 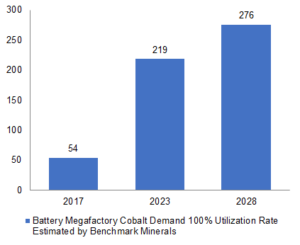 The forecast is only for cobalt needed by battery megafactories serving electric vehicle manufacturers and doesn’t include continuing growth in demand from other industries (ex. aerospace, phone and laptop batteries). 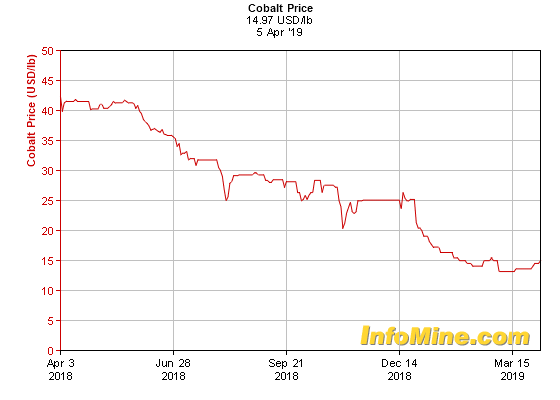 Total world production of cobalt used by all industries was about 125,000 tonnes in 2018. New mines, particularly from conflict-free areas like Canada, will be needed to meet the projected demand shown below for the next 10 years.